A genetic disorder that causes tumours to form on nerve tissues, neurofibromatosis can develop on any part of the nervous system like the spinal cord, brain as well as nerves. Generally, these tumours are non-cancerous but sometimes can also become cancerous. It is mostly diagnosed during childhood or early adulthood. As per research, there are three different types of neurofibromatosis, each with specific signs and symptoms. Neurofibromatosis 1- usually appearing in the childhood, the signs though mild can be evidently seen at birth or before the age of 10 years. Small bumps in the iris of the eye known as Lisch nodules. Schwannomatosis- This type of condition leads to development of tumours on the skull, spinal and peripheral nerves and affects people around the age of 20 years. The worst part is that schwannomatosis causes severe and chronic pain in any part of the body. Loss of muscle and numbness or weakness in the body is also some of the other symptoms of Schwannomatosis. Neurofibromatosis 2 can also be a causative agent of Schwannomatosis at times causing the facial droop, pain and development of cataracts. Genetic mutation is the reason for all the three types of neurofibromatosis. Neurofibromatosis 1 is caused due to an abnormality in the gene located on chromosome 17. Neurofibromatosis 2 is caused by a defect in the gene located on chromosome 22. The above two gene defects are known to cause schwannomatosis. 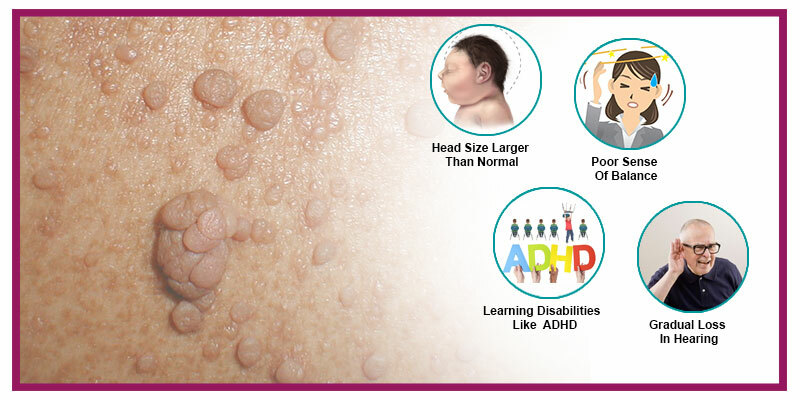 Neurological problems, learning disabilities, cardiovascular issues, hormonal imbalance, breathing problems and growth of various kinds of tumours are some of the complications of neurofibromatosis. 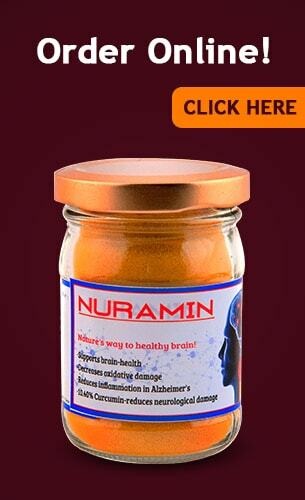 One of the best preventive solutions for all types of neurofibromatosis is the use of curcumin. The potent anti-inflammatory and antioxidants actions of curcumin go a long way in keeping the nervous system healthy and also in preventing the growth of tumours.